Looks excellent! 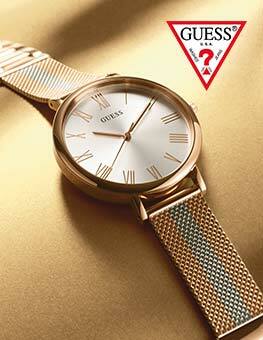 Strap looks good but a bit thin and not too wide so may looks small on a bigger wrist. But overall very satisfied!!!!! Yet to see if he likes it! The Casio watch that i have recently buy is Kickass. Easy to purchase, wide selection and affordable prices. Fast delivery as well. This watch looks great both in the box and once worn. The black finish is very pleasing to look at and compliments any outfit worn so the watch is extremely versatile and can be worn on any occasion- such as day to day or going on a night out. Furthermore, the watch face/screen is the right size to not be in your face but it still allows you to read all of the information clearly and easily. The fit straight out of the box was obviously not exactly right and links did need to be taken out so that it fit the individuals wrist that I bought it for, however this process was very easy and the links were easy to take out and would be easy to put back on again if necessary. All in all I think that this Casio watch was a great purchase and was well worth the money I paid for it, the person I bought it for loves it and wears it every single day and theres no wear to it yet! The watch was a gift and was delivered in a sufficient time service was better then expected ! 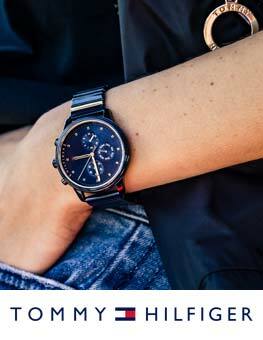 Sleek watch, which looks great and has some good features. The metal straps are sometimes a little irritable on the skin but not a huge problem. Ordered fine and fast delivery. Arrived on time. Thank you! This watch is exactly what I was looking for. Small, elegant and with a backlight. 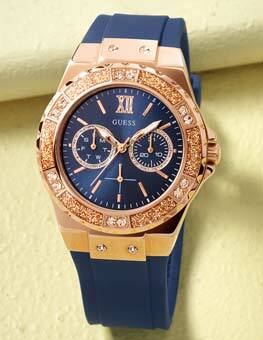 Very nice watch and simple to use. Compact,stylish,robust, not to heavy & bulky & looks the part,easy on the eye & even easier to adjust wrist band or set-up. does what it says on the box, keeps accurate time rugged enough for the worshop and doesnt mind the washing up! very light and cool. Love it very much! Very good and easy watch to use well worth the money! Also is very good under water !! Men´s black casio looks amazing, just want i wanted to give to my fiance on his birthday. Casio are quite good watches that can last a lifetime and they are also vintage, that is why i like them. The person the watch was purchased for was really happy with the watch and as a present was even more pleased. Excellent service and excellent watch. Fantastic product. As usual, a great Casio watch, just the right size for small male wrists without being too small. Feels well built, great features which are easy to use, like the fact is backlit and waterproof. Nice quality metal strap which doesnt catch hairs and the colour and finish of the matt black is superb - the looks strike a good balance between retro Casio and modern. Nice and light too so great for summer. Recipient loves it! Fast delivery and great usual service from Watch Shop. Watch arrived v promptly. All features work well and are easy to use after having a fiddle and getting used to it. The only issue, and it is an annoying one, is the screen. It is made of plastic and marks v easily. There are a few small marks on it now, and considering I have only had the watch for a week, in a few years it will be a total mess. Apart from that i am happy with the product. I will have to agree with G.Galants review. I really like the design and the colour of this item however the case and dial are made from resin which makes it look even cheaper than it already is. It has a good looking metal bracelet that feels comfortable. Regarding the service - I am extremely happy with the prompt delivery and packaging. Overall - I think the design of this particular model overcome the flaws behind it. brilliant item, brought as a gift. This watch is a nice basic time piece with some good functions. It was easy to set - and the various functions are easy to get to. I also like the light function that comes on for a few seconds on the button press rather than a press and hold like my last Casio watch. Its style is not going to set the world on fire but its fairly slick and nicely understated. For the price its a fairly good watch that is just a bit more refined than the basic silver case Casio that I had previously. This watch is great, would really recommend it. Bought it for my husband who loves the retro digital style watches. I think the metal bracelet makes it look a lot nicer than the basic digital watches that only have a plastic bracelet. Good looking , clear face and easy to read. Illuminated by a side lit lamp rather than a back lit glow. 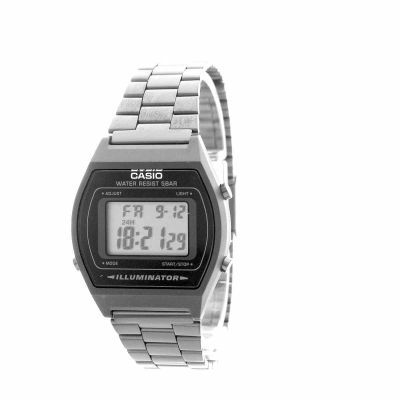 Bought this for my partner who has the classic silver Casio. It was packaged well and fit him ideally. 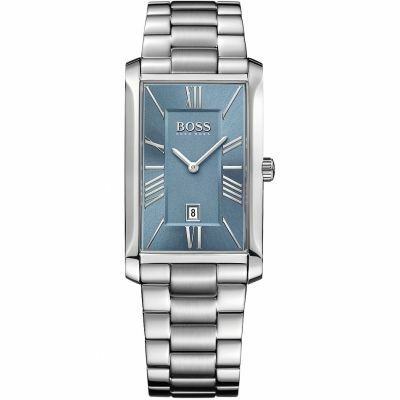 Perfect watch in terms of its size, style and price. Made the perfect gift for him this Christmas. Delivery wasnt as I thought - paid approx £2 for it to be delivered Monday, didnt come til the Tuesday. Ill start with the summary, a very good watch for the price. The watch looks fantastic and since buying it about 3 weeks ago from here Ive had several people ask me about it and compliment it. The strap size is easy to adjust and feels comfortable on my wrist, it can sometimes be a little tight and sometimes pull on hairs but not enough to discourage me from wearing it. Being made out of metal gives it that cold to the touch feel which i love. As mentioned in a previous review the face is plastic instead of glass and the main body is also plastic instead of metal. Although this retracts from the quality a little it doesnt make too much of a difference. 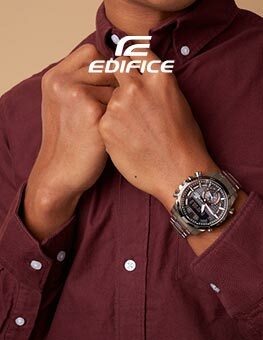 There are more than enough features on this watch to keep anyone happy, especially if it is a gift for a young relative. But i cannot comment on the reliability or functional use of them as i tend to use it only for time keeping. But i did manage to set the alarm for midnight by accident, and sure enough it went off at midnight every night. I was delighted! when Casio introduced this particular model,as it reminded me of one of my "first" Casio watches,the Casio Marlin W-22 from 1981. I have owned well over 100 Casios over the years,as i like them,from G-shocks to surf timers,radial graphs etc etc. You name it,i have owned it. Unfortunately! this particular model is a pale imitation of its predecessor from the 1980s. I paid £34 pounds for this,and its probably only worth £10. The face is "plastic" not glass like its 80,s predecessor. It feels cheap and nasty,with a strap that pulls your hair out of your wrist every time you wear it.!!! The screws on the case back pull your hair out of your wrist,every time you wear it.But as mentioned before,the face which i assumed would be glass at the price is cheap plastic! If you lightly polish the face with a a cloth,the face is left with nasty scratches and swirls. I would prefer to pay three times the price,and have a "new" Casio Marlin,thats Made in Japan. Not some Made in China,cheap thing thats a poor imitation of Casios finest efforts from the past. I think the movement itself will be fine,as they always are with Casio,but why cheapen what could have been a first class product,cutting corners to save a few pounds. Casio got it "so wrong" with this watch. Those expecting a trip back to memory lane of there 80,s efforts will be sorely dissapointed!! Avoid this model at all costs its horrendous! Casio have the look right to a t,but its worth selling these retro type watches at a premium,with premium quality to match.Bring back the Marlin! and i will gladly pay the price. 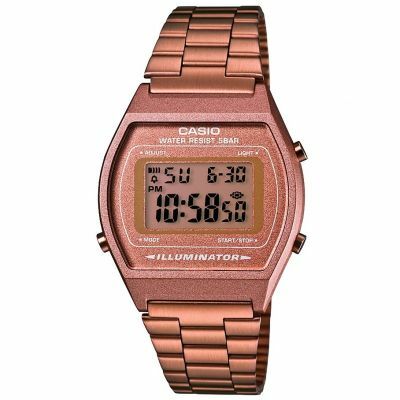 On another note,as "ILLUMINATOR" has been used by Casio for around twenty years,do we really need to have it hugely plastered on the watch face?? It looks cheap and nasty! light is sufficient.A little sword fish,Marlin or whatever is a nice piece of design,Casio take note.I even liked Lithium written on the watch,as it added to a Digital watches "kudos" as a piece of scientific engineering. Casio,may not care for this review or my honesty! However as a collector for over 30 years!! I have a strong case to make!